The Merseyside club will be pitted against one of Roma, Real Madrid or Bayern Munich in the draw for the semi-finals. Liverpool are confident of overcoming whichever club they are drawn against in the semi-finals of the Champions League, midfielder Alex Oxlade-Chamberlain has claimed. The Reds saw off fellow Premier League side Manchester City 5-1 on aggregate in the quarter-final to reach the last four stage of the Champions League for the first time in a decade. The Merseyside club will be pitted against one of Roma, Real Madrid or Bayern Munich in the draw for the semi-finals, which will be held in Nyon, Switzerland, on April 13. 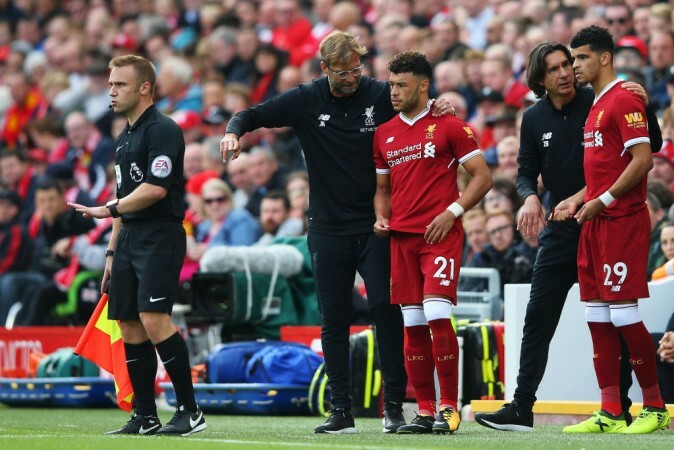 Oxlade-Chamberlain said beating runaway Premier League leaders City over two legs was a massive fillip for Liverpool and that the club need not fear any opponent in the next stage. "This is a massive confidence booster for us. To beat City twice is no easy feat," the former Arsenal winger was quoted as saying by the Independent. "We did it twice in a week and we also did it at an earlier stage this season. "It just shows to us that when we are at the right level we can beat anyone in this league. "Now it is on us – whoever we get in the next round – to go and prove we can beat people in Europe as well." The England international refused to be drawn on which opponent he would prefer facing in the semi-final. "People might say Roma [is the preference] but look what they did (knocking out Barcelona), they performed amazingly well," he said. "It doesn't matter who we get, we have to make sure we are ready for anyone and we can beat anyone." Reds defender Trent Alexander-Arnold insisted that the club, who are bidding to win the European Cup for the sixth time in their history, fear nobody in the Champions League. "Throughout the whole tournament, there hasn't been a team who strike fear in us," Alexander-Arnold was reported as saying by the Daily Mirror. "We've looked at it from the start that we're in it to win it. As it goes on, you get closer and closer to getting that chance to win it. "We've taken another step closer to the final and there are still two more games ahead of us. Whoever we draw on Friday, we'll look forward to the game and hopefully get to the final."